Can machine learning save you from scammers? Cybercrime: Is that email really from your boss? 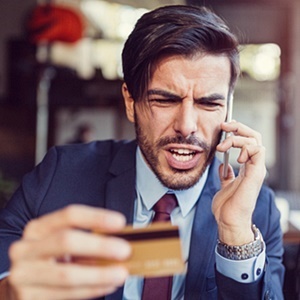 Dealing with debit order fraud has been "frustrating" for Fin24 users, who have been taken aback by banks which have been charging to reverse unauthorised debit orders. Several readers have shared with Fin24 their experiences with banks in trying to deal with debit order fraud. Most have complained about unauthorised debit orders going off from their accounts, for values up to R99, sometimes several times a month. The debit orders are also often from companies they do not recognise or which they have never dealt with. One user complained of a company he contacted regarding a loan, but which has instead debited funds from his account, which he did not agree to. Fin24 reached out to banks to find out what they were doing to help account holders. The four major banks – ABSA, Standard Bank, Nedbank and FNB – and others have partnered with the Payments Association of South Africa (PASA) to authorise debit orders through DebiCheck. This is in addition to other measures taken, they said. But prior to the launch of DebiCheck this year, Fin24 user Dianne Samuel said she had to resort to closing her bank account to stop the debit orders. "I even wrote to the bank ombudsman offices. This was so frustrating," she said of her experience. Samuel complained that her bank charged her for disputing the transaction, as well as to reverse the orders. "I refused to be charged transaction or dispute fees. Because none of this was my fault," Samuel said. She eventually switched to a different bank. "I still can’t help feeling so ripped off when I remember this, and angry because these people are still getting away with this. I never signed any debit order request. "There must be much stricter measures in place, like customers having to present their debit order request themselves to their bank, rather than allowing companies to send a random list of names and bank details and receive payment!" said Samuel. "I'm horrified that after all these years, the banks haven’t traced and stopped this nonsense!" In Samuel's view, it's possible that there are insiders within banks facilitating these occurrences, or perhaps some larger companies may be selling client information. Ntombenhle Zulu similarly shared views that the debit orders might be an inside job. "I myself had never shared any information about my banking details to strangers, but for the past year now, every month I have to phone the bank with my own airtime to reverse these debit orders. The bank should be responsible for this," Zulu opined. "I will not go every month to get an affidavit for this. "This is unethical. They should have an option to reverse debit orders when you phone the helpline in order for the victims to get assisted quickly, as it was not their fault. These debit orders are really, really annoying." Another user, Keamogetswe Pitsi, who is now living in Germany, also complained of debit orders still going off her account. "Ever since I moved overseas, I have four or five of these debit orders going off my account monthly. "As much as I could understand the bank not taking responsibility for it (because they say they have no control over it), the bank has not provided me with a cost-effective way of reversing these debit orders." Pitsi says at first she had requested reversal via email but the bank cited security issues and requested she make direct phone calls to do so. "Now making a call from Germany to South Africa is very expensive. I have, over five times, requested a new process that is cost-efficient for customers that replaces the old process. Four months later, still nothing from the bank." Pitsi says her case is with the ombudsman because she feels the bank is benefiting from the debits – by charging to block the debit orders and to get details on the fraudulent company. "But they cannot guarantee that the debit will not go off if the company changes their reference number the next month. It's an endless cycle and they are slow to respond," she said. "The reality of majority of South Africans is by the time they reach the bank, it is also too late to reverse it," Pitsi added. User Dineo Matia said that in addition to the bank charges she had to pay, her credit profile was affected by the debit orders. Mpho Magolego said although her bank was helpful, she was left with having to pay a high telephone bill, because logging the complaints via phone took long. Chris Goliath also got the short end of a stick. He said he had been a victim of two companies, which had promised him loans. Having shared his details, they started debiting his account. "My request from both these companies was to get a personal loan, but instead of [giving me] a loan, they deducted monies from my account for something I did not agree to," he said. For more on how your bank can help you, click here. *Users' feedback has been edited so as not to name specific banks.